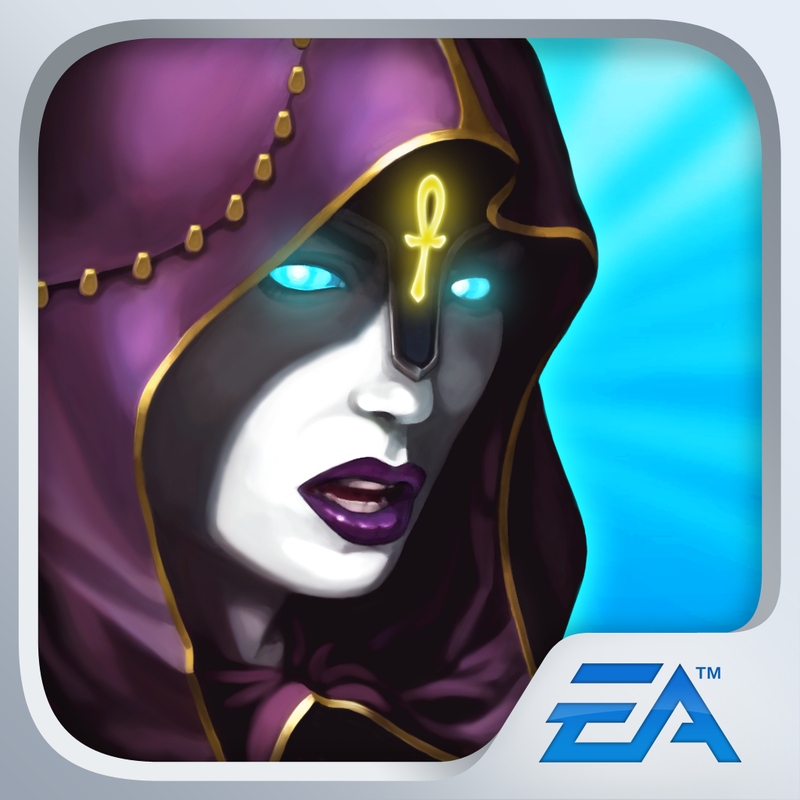 Ultima Forever: Quest for the Avatar (Free) by Electronic Arts is the much anticipated mobile installment of the Ultima franchise. 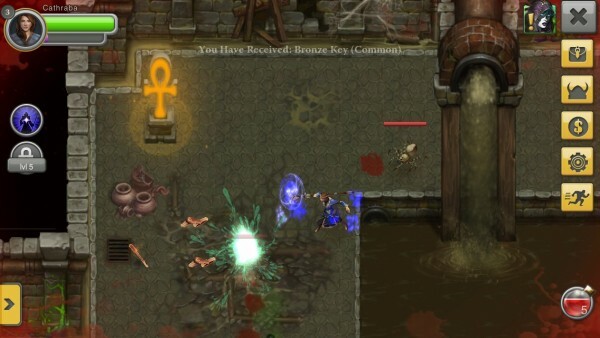 If you love dungeon crawlers and RPG games, then you will probably want to have this in your iOS game collection. I actually didn’t play Ultima Online, but I know my boyfriend did for countless hours. So I’m coming into the Ultima universe as a complete newbie, but I am definitely familiar with dungeon crawlers and RPGs in general. I remember when this was first announced, I was pretty joyful, as it would be the first time I get to experience Ultima. I even got to try a demo of it during E3 this year. For what it’s worth, I’m enjoying it so far, but this is in the perspective of someone who is new to the Ultima universe. Veterans may see things a bit differently. 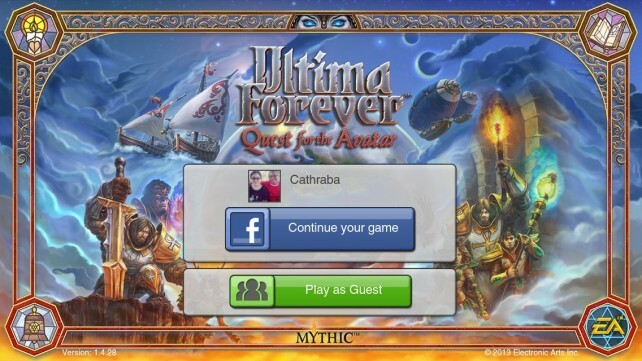 The first thing you need to do is to connect to the server, which can be done through Facebook, or you can play as a guest. I’m a bit annoyed at this, but at least there are options. 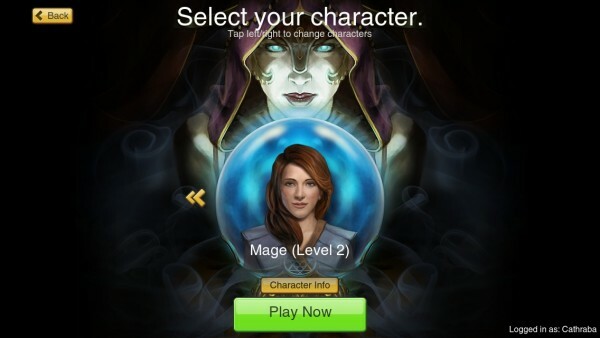 Once you are in, you’ll need to create a name to use with the game — this is the name shown for your characters as well as to other players. However, I had a bit of trouble at this part, as it wasn’t accepting any of the names I wanted to use. I ended up having the random name generator create one for me. Not really a big deal, but a minor annoyance. The next step will be a mini-quiz with four questions, but how you answer these questions will determine your class. You can change the appearance of your character with 20 different options, so there’s a nice variety available. I do wish that the game allowed full customization, but I digress. 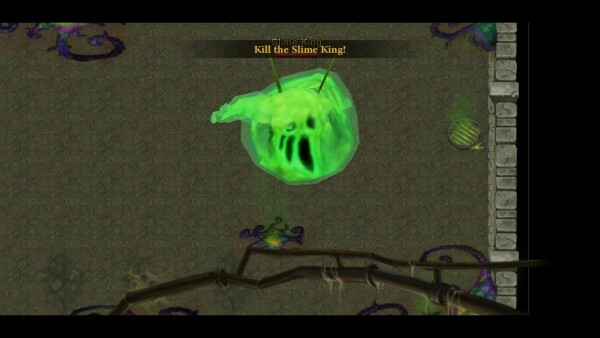 The game starts out with a scene of The Black Weep attacking, and then it goes into a tutorial mode, showing you the basics. 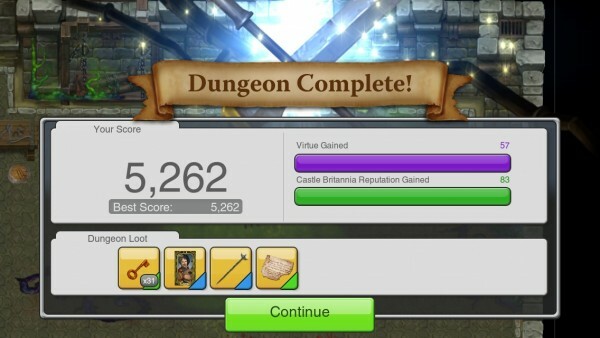 If you’ve played other dungeon crawlers on iOS, then things should be pretty self-explanatory. 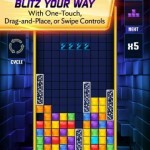 To move around, all you have to do is tap where you want to go, but you can also tap-and-hold to continuously run. 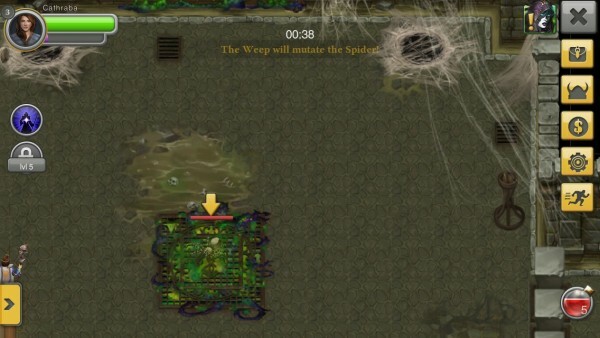 Tapping on enemies will initiate your character’s auto-attack, but you can use a stronger special attack by tapping on the buttons on the left-hand side. If you are running low on health and need to heal or use items, you can tap on them in your inventory at the bottom right. 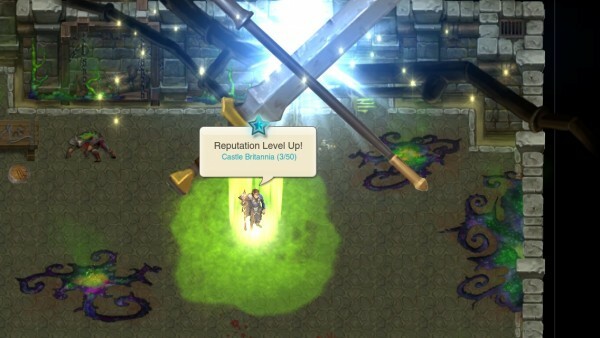 If you tap on your character portrait in the top left, you are able to access your equipment, skills, and reputation. 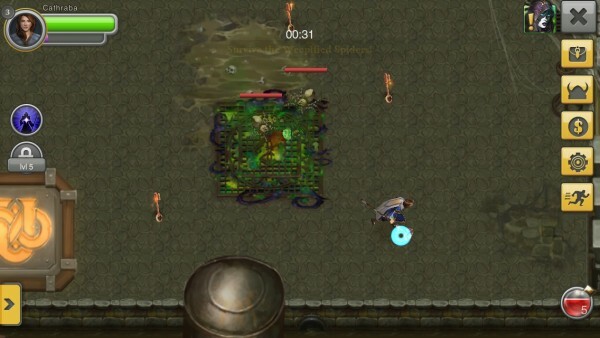 Equipment has durability levels, so you will need to repair them when they are about to break. If the break, they cannot be used to attack or protect you, so be careful. 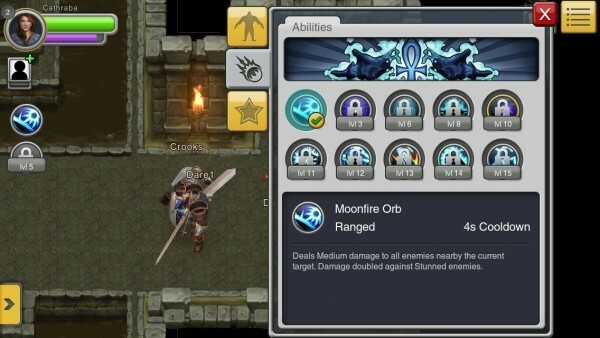 The abilities tab allows you to see what you currently have, as well as the level the other ones will be unlocked at. Reputation will show your standings with all of the various factions in the game. 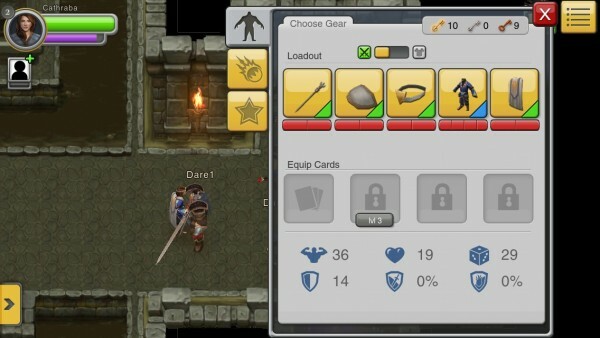 There are several other buttons on the right-hand side that will show your inventory, stats, and boost cards that can be carried to give you bonuses. It’s important to get as many of these as you can, as they can prove to be quite useful, reducing damage taken by your equipment, and more. Ultima Forever is a story-driven dungeon crawler, and you will be faced with plenty of choices along your journey. The decisions you make now can affect the game later on, so make your choices wisely. Sometimes the decisions will also increase your stats in Valor, Compassion, Honor, and Spirituality. As you defeat enemies, you will earn Virtue, which is essentially experience, and you’ll level up when the purple bar gets full. 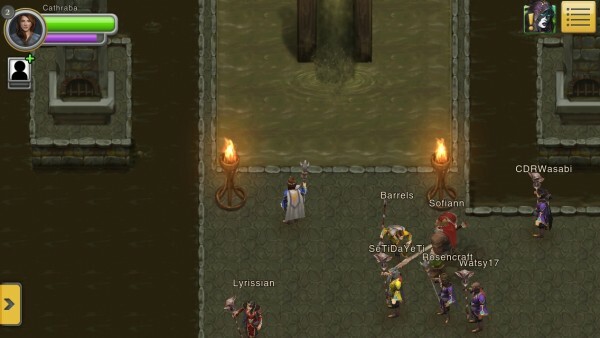 Ultima Forever is an entirely multiplayer experience, unfortunately. This means you will need a constant data connection to play, and there is not really an offline mode. 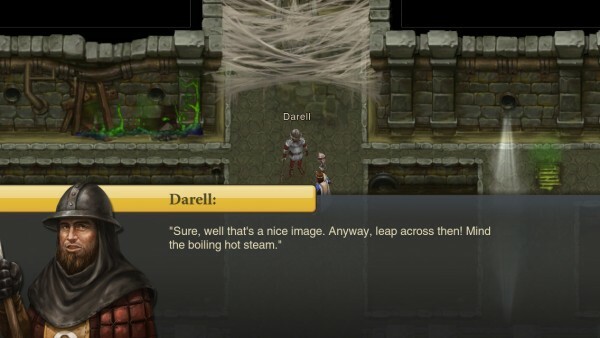 The game is also very social, where you can add friends to group up with for dungeons, or you can join random strangers for these quests. 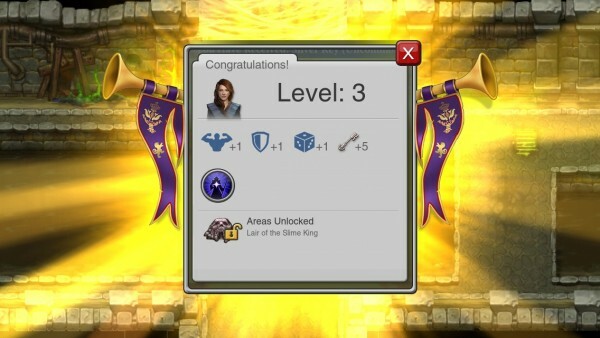 At the end of the dungeons, you will get bronze, silver, or gold keys. 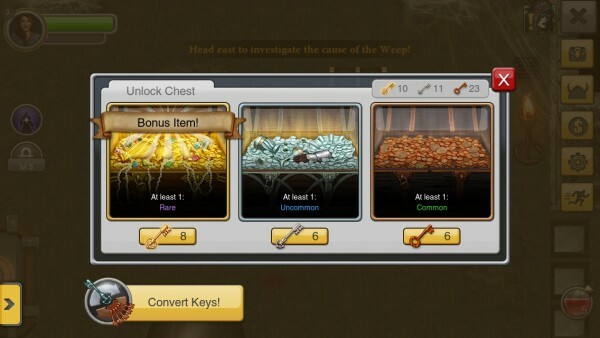 The level of key will determine the type of loot you get from the chest. As one can imagine, to get the best gear, you will need gold keys, and these are hard to come by. 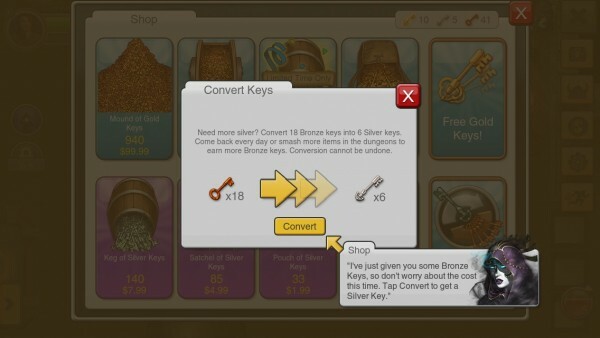 However, you can convert lower-level keys to the next stage once you have a certain amount. 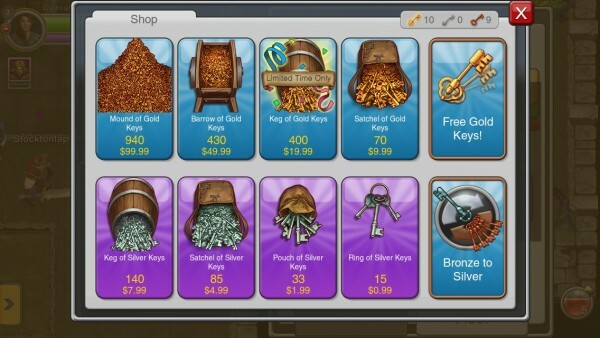 EA is also selling bundles of keys through in-app purchases. I’m not really digging the key system, as this is basically the currency for the game, and the only way to get powerful gear. I dislike the pay-to-win methodology in general, and I feel like EA ruined this game with that. For the most part, I like the game so far, but I dislike how EA managed to execute some things. I really don’t like having to always be online for the game, as sometimes I do better on my own. I also wish that loot could be obtained through skill, rather than whoever has the most golden keys. It’s a shame that EA decided to go this route on such a legendary franchise. Also, the game menus can be frustrating, being unresponsive quite often. I hope EA can optimize it in the future, but I won’t get my hopes up. Despite the flaws, I think that Ultima Forever is still worth taking a look at. 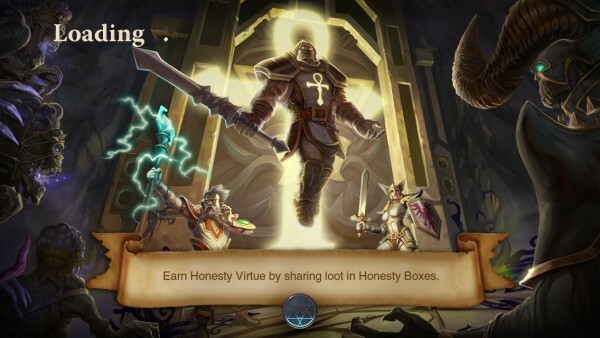 I just hope that you don’t expect it to be anything like the original Ultima Online, or to get far without the use of silver or gold keys for epic loot. It’s a fun time-waster, I’ll give it that, but not worth pouring a ton of hours into if you’re a serious gamer. You can find Ultima Forever: Quest for the Avatar in the App Store as a universal download for free with IAPs. Hey Hey, Kids! 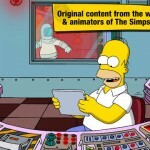 Can You Rebuild Krustyland In The Simpsons: Tapped Out?